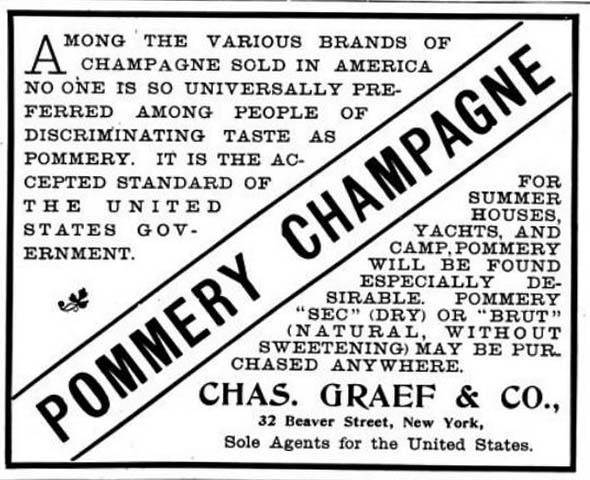 As I am still researching a post about old Champagne I thought it would be fun to share this old Pommery advertisement. In today’s post I take a break from some research into old Champagne to inform you about two interesting wines. 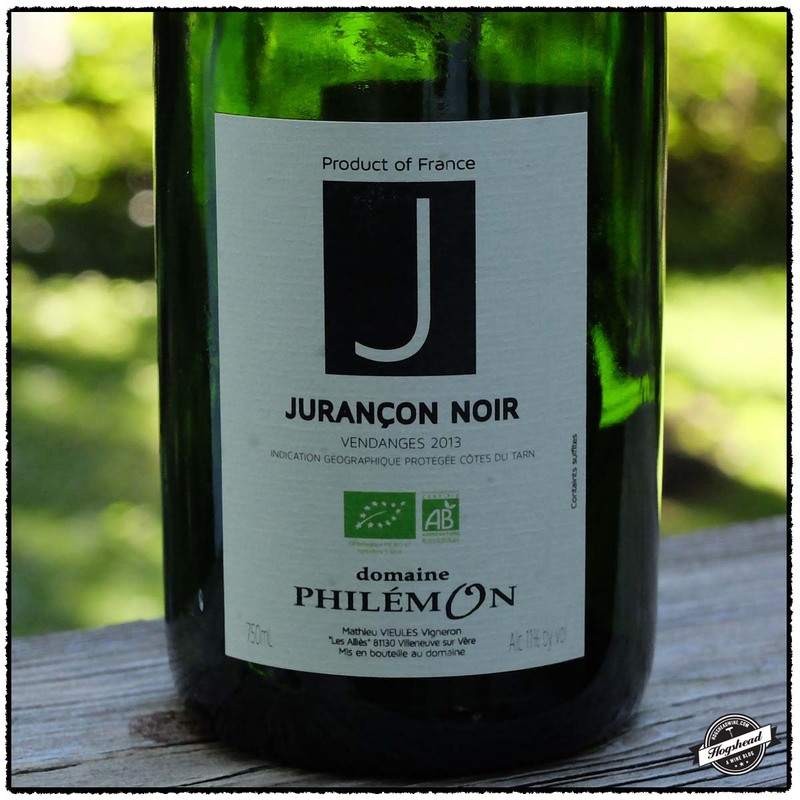 The 2013 Domaine Philemon, Jurancon Noir, Cotes du Tarn is a crazy wine that tastes of the grape. Jurancon Noir is an old variety that is a cross between Folle Blanche and Cot. This particular bottle tasted incredibly fresh, as if drinking straight from the tank. I must warn you that it is on the tart side of things. Still, it drank well and showed good presence for several days. 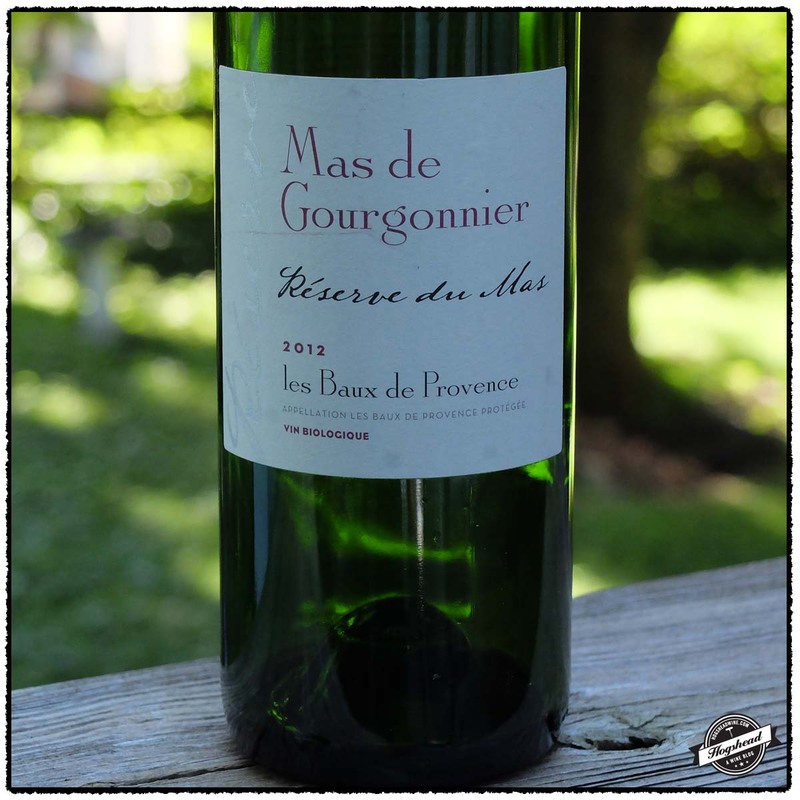 I was completely surprised by the 2012 Mas de Gourgonnier, Reserve du Mas, Les Baux de Provence. My previous two experiences with the Reserve du Mas were with lighter, dry wines that had plenty of dried herb flavors. This latest vintage shows ripeness with more weight which works particularly well with the dark fruit and complex flavors. It seems to have already taken on some maturity which makes it irresistible. This is clearly my favorite wine yet from Mas de Gourgonnier! These wines were purchased at MacArthur Beverages. Imported by Wine Traditions Ltd. This wine is 100% Jurancon Noir that under-went semi-carbonic fermentation with indigenous yeasts in cement tanks. Alcohol 11%. There was a very young fruit taste in the mouth but the nose was rather complex. In the mouth the tart, grapey black fruit showed some ripeness but was ultimately quite dry. The wine sported plenty of grapey flavor that mixed with christmas spices and dry tannins that coated the gums in the finish. It finished slightly spicy and puckering. It tastes as if it were straight from the tank. *** Now. Imported by Dionysos Imports. This wine is an equal blend of Grenache, Syrah, and Cabernet Sauvignon. Alcohol 12.5%. The nose was a bit earthy with low-lying black fruit aromas. The mouth followed the nose with dark, yet fresh flavors. Incredibly, this plummy wine was already complex with wood box and gentle garrigue notes. With air it took on cherry fruit and showed grip in the finish. What a pleasure! ***(*) Now-2020. I can now count the number of times I have tasted truly old Champagne on three fingers. The last two experiences, courtesy of Mannie Berk, proved engaging but the first was dreadful. That I saved the first bottle for all of these years is due to the scarcity of old Champagne in Washington, DC. Though the wine was bad it turns out that this bottle bears a story which deserves to be told. Nearly a decade ago, I found myself at Schneider’s wine store between the Capitol and Union Station. I was at the store killing some time before my friend William arrived on the train. I spied a bottle of old Champagne on the clearance shelf as I was checking out. Old Champagne seemed worthy for starting our weekend gathering so I promptly grabbed it. I felt that the low price was both indicative and worthy of the gamble. It was of no surprise then that the bottle had been badly stored and I could not even recommend that William or Jenn take a sniff. 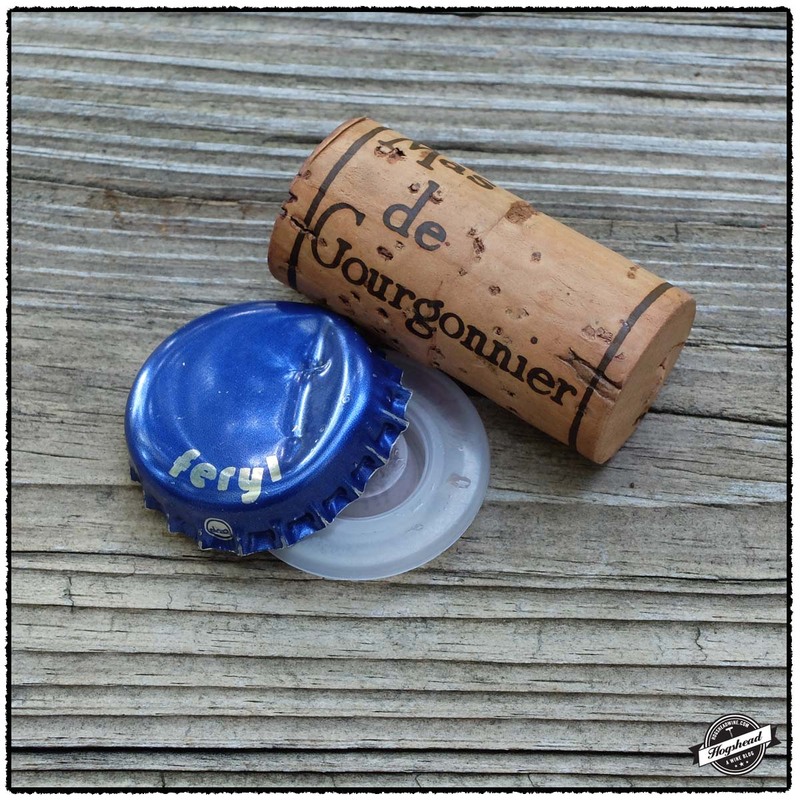 I had to some degree forgotten about the bottle until this past weekend when Mannie opened a similarly old bottle of Pommery & Greno Drapeau Americain Sec. Memories of my old bottle came flooding back; the color of the foil, the color of the label, and that my bottle with the date of 1956 lay packed in a box somewhere. I found the box up in the attic. The bottle did not just bear the year of 1956 but a very specific 19 Avril 1956. This is the wedding date of Prince Rainier III of Monaco and Grace Kelly. Above this date appear the worn profile of the engaged couple. 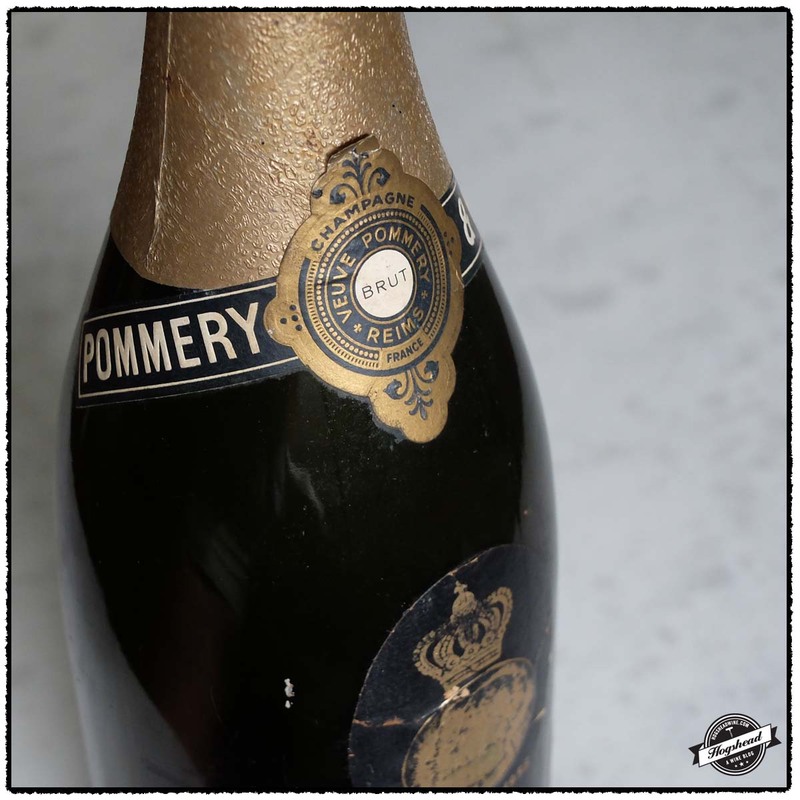 At the time of the wedding, Pommery was owned by the de Polignac family. It was the Prince’s uncle Prince Guy de Polignac who was running Pommery. 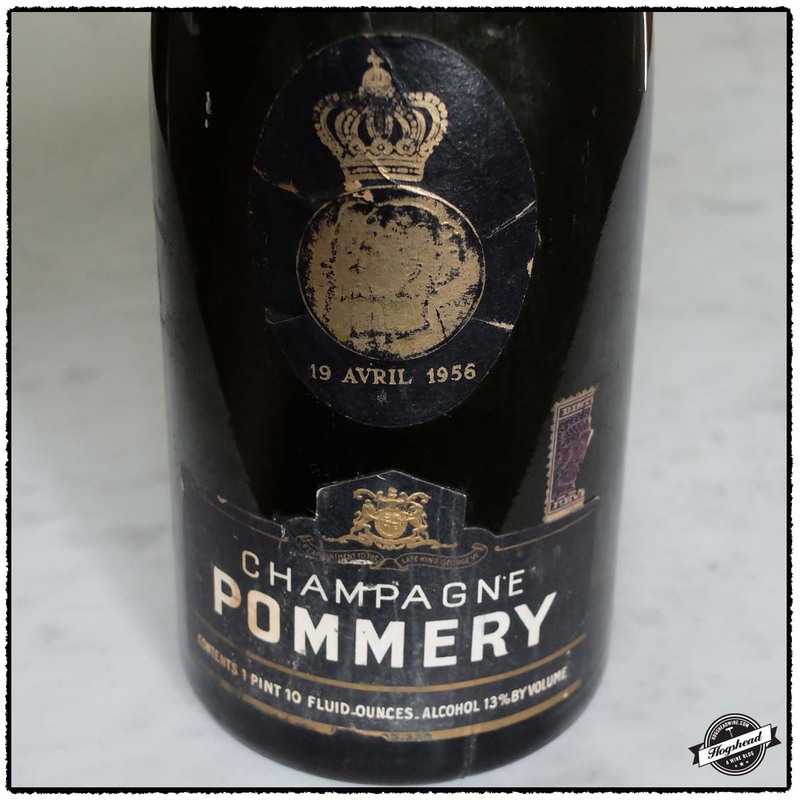 Prince Guy de Polignac did not simply send over regular bottles of Pommery Champagne he sent over a commemorative royal wedding cuvee. This royal cuvee was intended for the wedding reception and lunch. Each bottle bore a gold seal showing the Rainier-Kelly profile along with the wedding date of April 19, 1956. The bottles and magnums of this cuvee were sent over to Monte Carlo on Tuesday, April 10, 1956, just two days before Grace Kelly arrived. The Champagne itself was from the 1949 vintage. While these details are corroborated by multiple accounts, the quantities produced are unknown and reports on the number of bottles sent to the wedding vary. Most likely only 50 magnums and 500 to 840 bottles were sent for the wedding. This raises the question as to why my bottle of Pommery & Greno, Champagne Brut, Prince Rainier and Grace Kelly wedding cuvee 15 April 1956 made it to America. 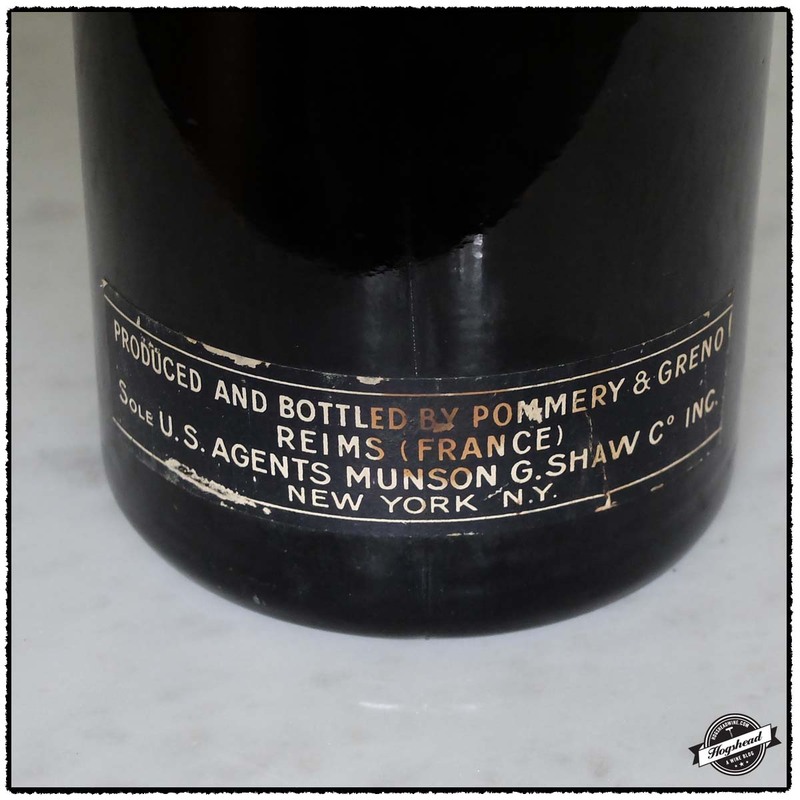 This particular bottle bears a torn tax stamp on the front and on the back, the import strip of Munson G. Shaw Co., a large New York based importing firm. This suggests that the bottle was not spirited away from the actual wedding reception. In addition, the photograph of the official release of the Champagne contains a bottle with a label that does not bear the mundane details of volume and alcohol content. Perhaps due to Grace Kelly’s immense popularity, extra bottles were sent to America. Grace Kelly was an American actress who won both a Golden Globe and Academy Award nomination in 1954, just two years prior to her wedding. Already in the limelight due to her movie career, Grace Kelly’s marriage to Prince Rainier III ensured that she remained the focus of national newspaper coverage throughout her life. These bottles then, allowed her fans to share in her fairytale wedding. As stated in Thierry de Maigret, Maitres Francois Issaly et Julien Pichon, and other auction catalogs. 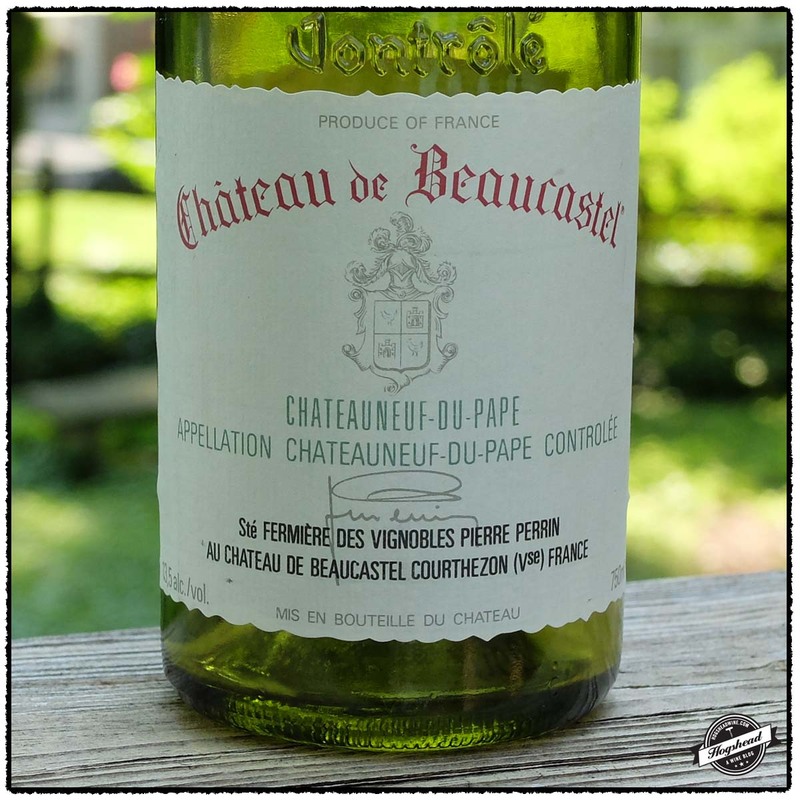 When the fruit was harvested for the 1985 vintage, the wines of Chateauneuf du Pape were only regaining popularity in America. Just 15 years earlier these wines had been wildly popular but a rise in price and a drop in quality caused attention to drift elsewhere. 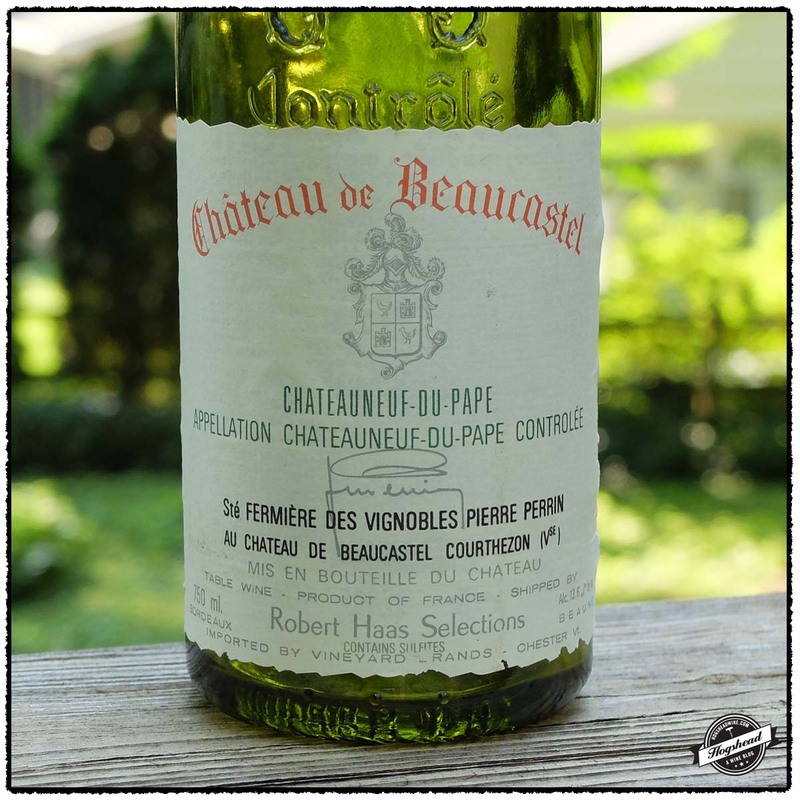 This drop in quality reflected a change “to suit the ‘modern taste’ for lighter, quicker maturing wines.” Robert Parker explained that these “innocuous, bland, and one-dimensional bottles of wine” were often produced by carbonic maceration as in Beaujolais. 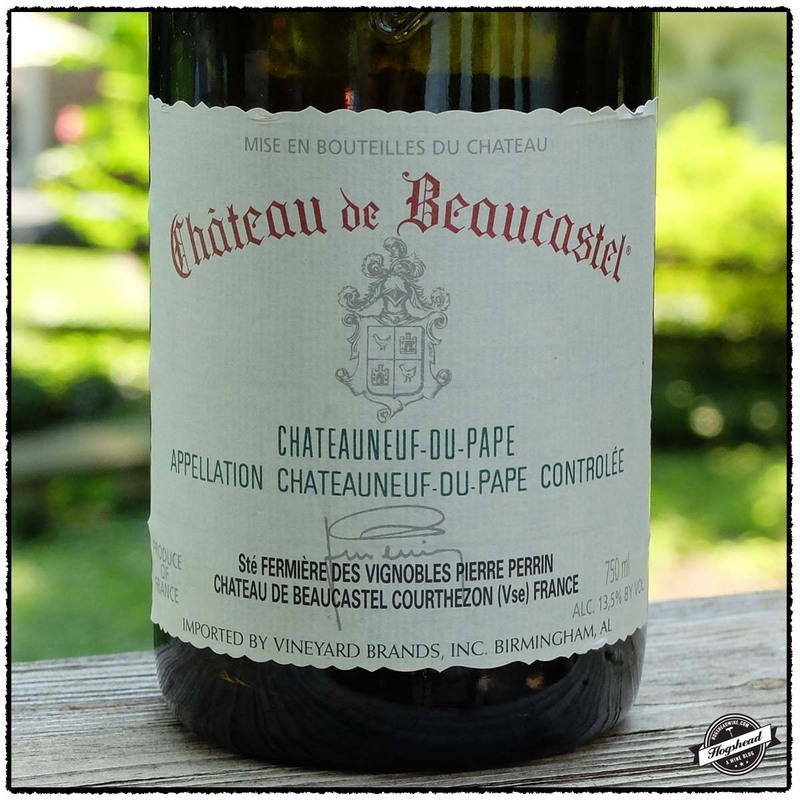 There was, however, at least one estate that remained true to the traditional style of Chateauneuf du Pape and that was Chateau de Beaucastel. It was in 1978 that Francois Perrin took over the historic estate with the help of his elder brother Jean-Pierre. Together they maintained the traditional methods of their father such as vinification a chaud while also accepting new methods. 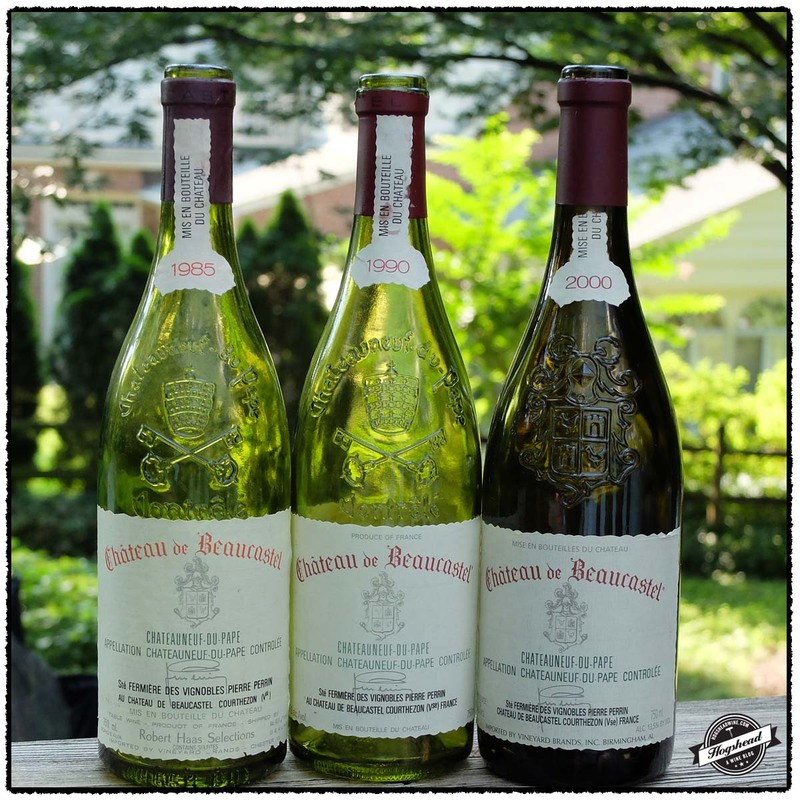 At the recent tasting of Rhone wines we opened the 1985, 1990, and 2000 vintages of Chateau de Beaucastel. These are interesting vintages because they span a changes in blend, vinification techniques, and the introduction of a new cuvee. While the 1985 vintage saw 50% Grenache and 15% Mourvedre there was a change in 1988 such that the 1990 vintage saw 30% Grenache and 30% Mourvedre. To quote Robert Parker the Mourvedre adds “body, firmness and color”. The pumping down of the fermenting cap or pigeage was introduced in 1987 for Syrah. This was employed to obtain greater concentration. Two years later in 1989 just 2% of the wine was used to make the special cuvee in honor of their father Hommage a Jacques Perrin. This appear to have not affected the quality of the traditional red wine. 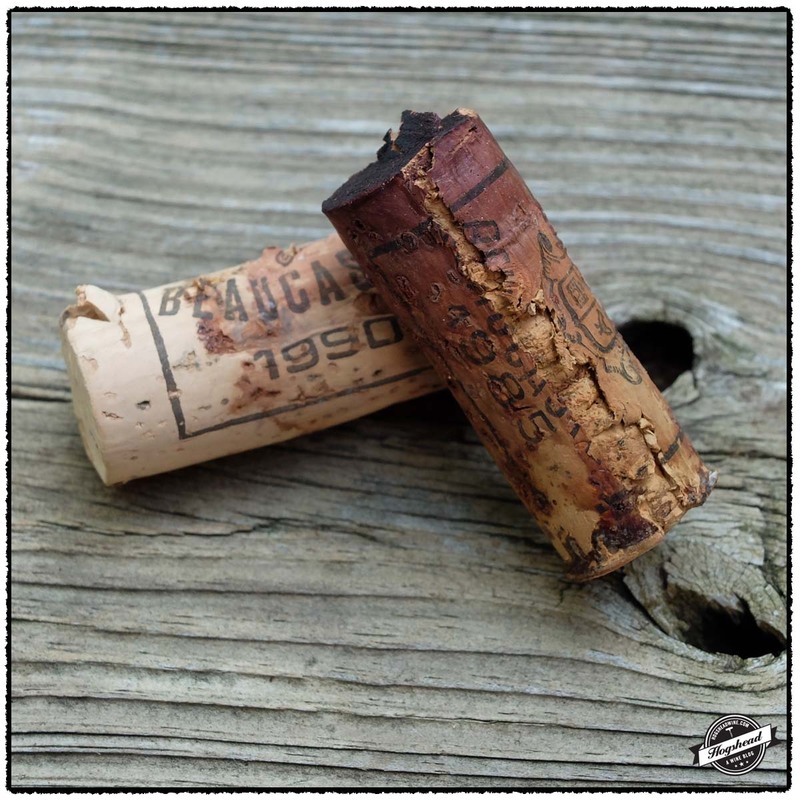 Finally, the use of new oak for Syrah was introduced some time after the 1990 vintage. I have now tasted two bottles of the 1985 vintage. The first bottle did not carry the Beaucastel funk, instead it showed garrigue notes with completely resolved tannins. This second bottle had the funk but also fruit and structure. For me I found the finish of this bottle a touch short. I have also tasted the 1990 vintage twice this year. Both bottles have shown great depth and perhaps due to all of the changes, great staying power. This is not a big wine in any sense. Incredibly, at 25 years of age I believe it will continue to develop, not just maintain itself, for years to come. Finally, I found the 2000 vintage rather shy on the first night. It did slowly open up over the first several hours but it was on the second night at which it showed best. There materials are clearly there for a strong future. The Wine Takes Time: The Wine Takes Time. By Robert M. Parker Jr.. The Washington Post (1974-Current file) [Washington, D.C] 24 Jan 1982: L1. 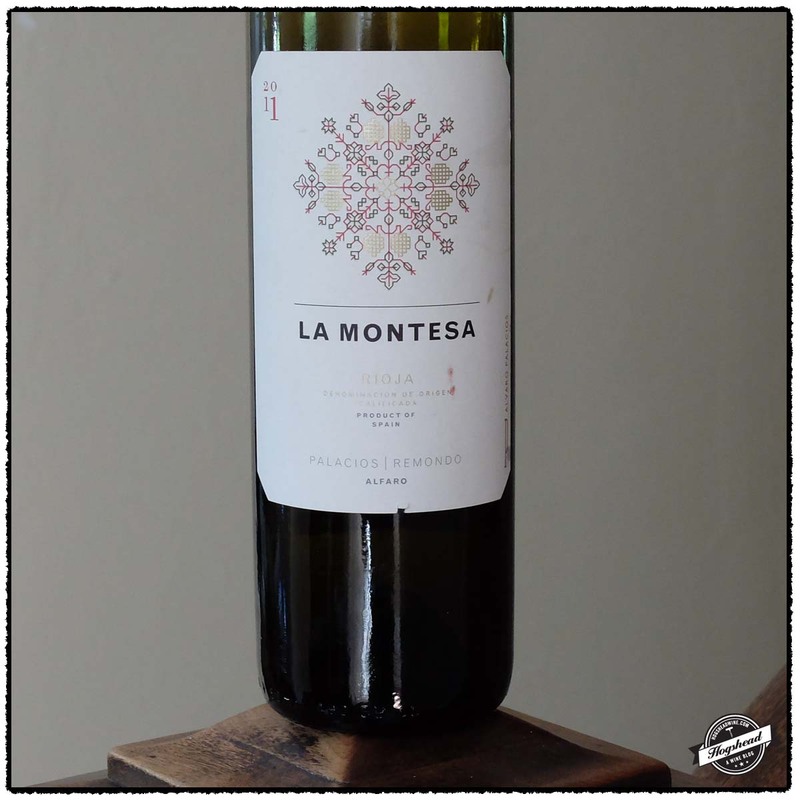 I had every intention to open up an older bottle of wine but first I wanted to taste the bottle of 2011 Palacios Remondo, La Montesa, Rioja. With one good sip my mind was changed. I was immediately hooked from the meaty, blue fruited nose to the creamy, dense flavors. This is no surprise given that Alvaro Palacios is behind this wine. 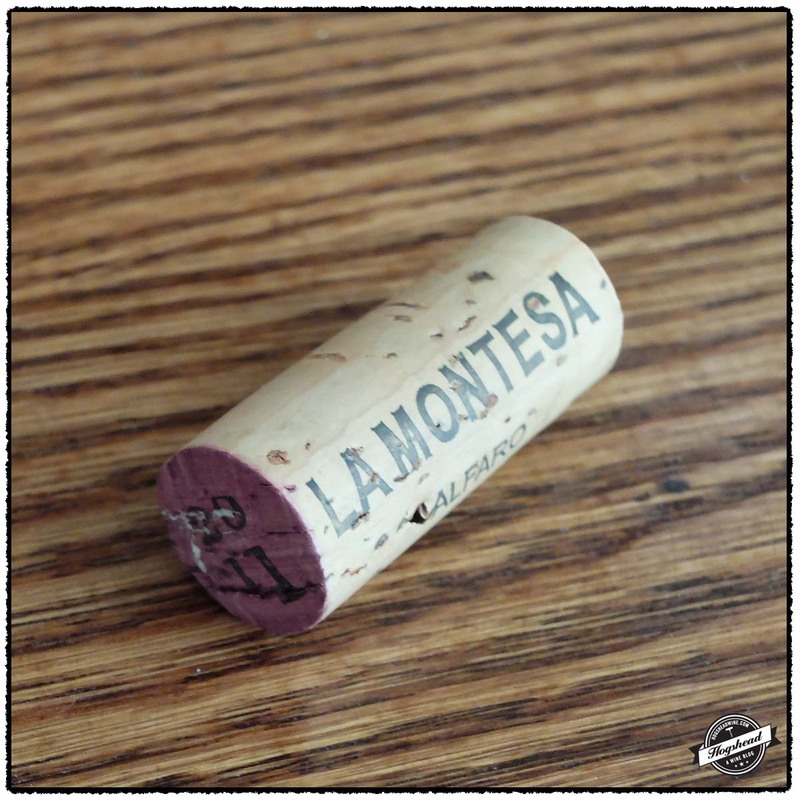 He also produces such highly regarded wines as L’Ermita in Priorat and Descendientes de J. Palacios in Bierzo. Following the death of his father in 2000, Alvaro Palacios took over the family winery in Rioja, Palacios Remondo. For the 2011 vintage, he has produced a wine to drink now and not one to age. Do not fear for it always has good complexity. I would grab several bottles for you will see the first bottle to the end then wish you had more. These wines are available at MacArthur Beverages. Imported by Folio Fine Wine Partners. This wine is 75% Garnacha, 25% Tempranillo, and 5% Mazuelo that was aged for 12 months in new and used French and American oak. Alcohol 14.5%. The nose bore aromas of meaty, blue fruit. In the mouth were similar dense flavors that had controlled ripeness. This forward-drinking wine had ripe extract, creamy hints, and a dry structure. A flat out tasty wine. *** Now-2017. This past weekend a group of us gathered in my living room for a hastily planned tasting of mature Rhone wines. The motivation for the tasting came from an exchange with Jess Hagadorn (Young Winos of DC) where we quickly found a mutual love of Rhone wines. Sometimes a last minute arrangement works well and in this case it did. Many thanks to Jess, Bryan, Lou, Darryl, Nancy, Roland, Adrienne, David, and Isaac (Reading, Writing & Wine) for contributing an assortment of wines. There was no formality to the tasting so for this post I have grouped all of the Northern Rhone wines together. By all accounts the odds were against the 1987 H. Sorrel, Hermitage Le Greal. Michael Broadbent is quite succinct describing the 1987 vintage as the “worst weather of the decade” with a rating of zero out of five stars. He does not bother to even list any wines. John Livingstone-Learmonth is a bit more detailed describing the vintage as “Mediocre, but some charming wines emerged.” He noted the wines of M. Sorrel. Marc Sorrel took over the estate from his father Henri in 1982. Though he quickly ascended the learning curve, there was a rocky period between the late 1980s to mid 1990s. John Livingstone-Learmonth attributes this to a divorce. Undoubtedly helped by good provenance, our bottle sported an attractive and complex nose. Ultimately, I felt the vintage showed through with hints of greenhouse and a lack of concentration. It was a lovely, traditional wine that I enjoyed very much. It also left me curious about other vintages. 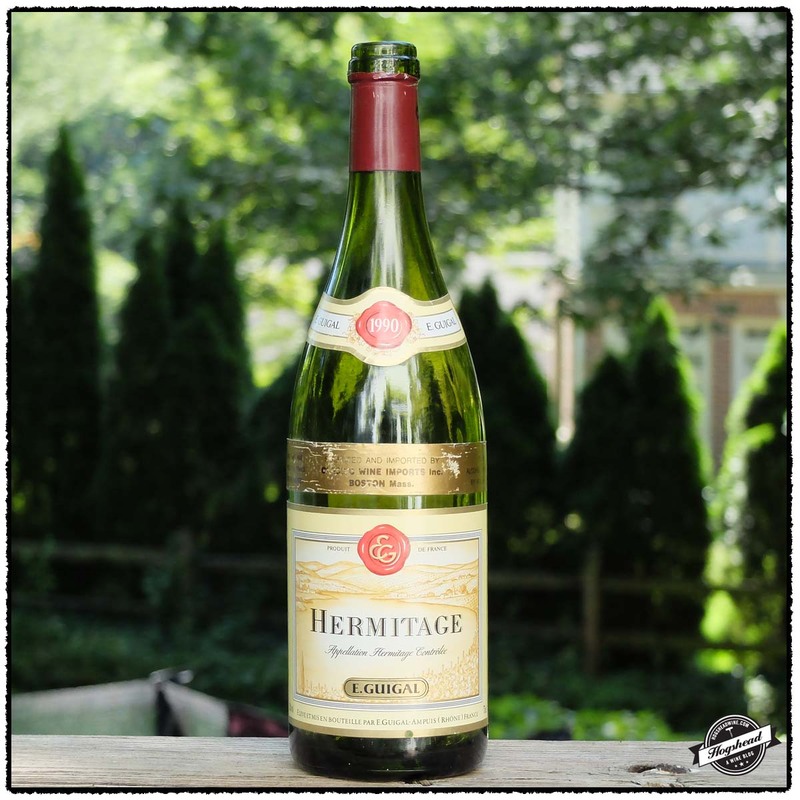 After tasting a stinky 1978 E. Guigal, Hermitage just a few days prior, I was pleased to taste a well cellared 1990 E. Guigal, Hermitage. It is a solid wine that will not disappointed. 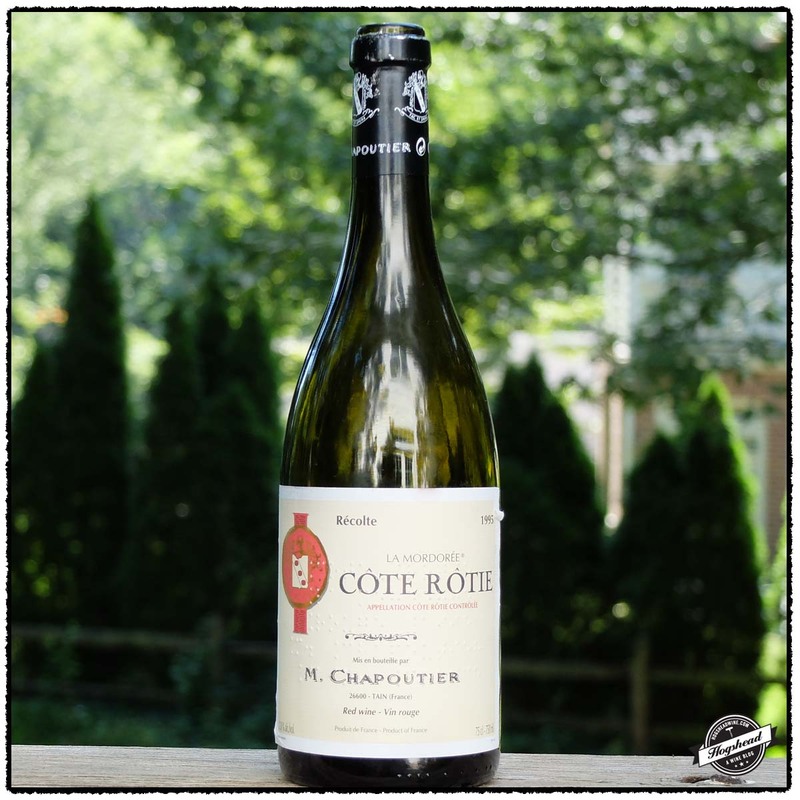 I wanted to enjoy the 1995 Michel Chapoutier, Cote Rotie La Mordoree more for it had good, young blacker fruit. In fact, the wine seemed very young and unevolved. But after a few days it refused to budge leaving me to believe the very fine and powerful tannins will outlast the development of the fruit. 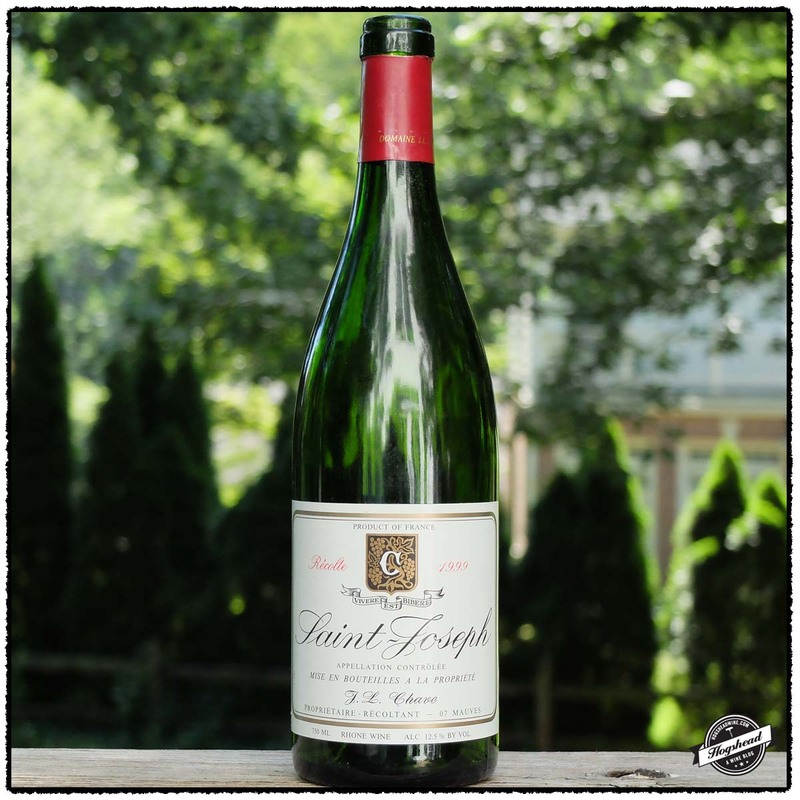 The 1999 Domaine J. L. Chave, Saint-Joseph exhibited the most smoke out of all the wines. It is a domaine wine and not from the negociant side. It is produced using vines dating back to World War 1 but most of the vines were planted in 1992 and 1993. This does come through in the wine but it is all done just right. John Livingstone-Learmonth writes “Father Gerard would call his St-Joseph red ‘an amusement,’ and this is the broad spirit in which the wine should be taken – a wine to drink in free quantities, with its fruit leading the way.” There was none of this bottle left by the end of the evening. 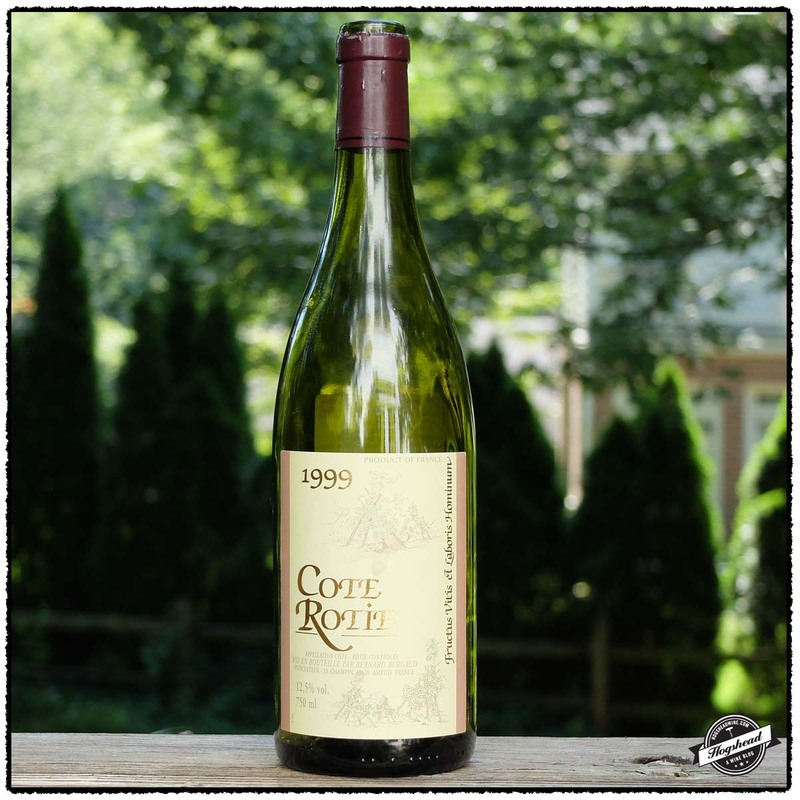 A new producer for me came in the form of the 1999 Domaine Burgaud, Cote Rotie. 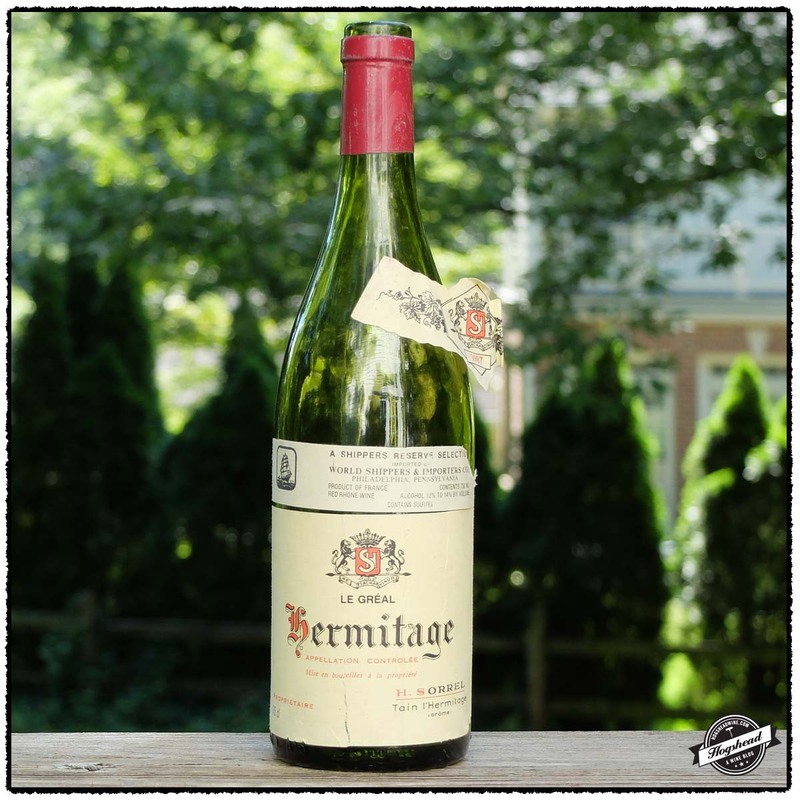 Bernard Burgaud produces just one wine and that is a red Hermitage. He has 22 acres of vines split across multiple sites each of which ripens at a different time. He typically destalked his fruit but not so for the 1999 vintage for he needed to absorb back some color. He ferments at high temperatures in concrete vats using indigenous yeasts then ages the wine for 15 months in 15-20% new oak barrels. John Livingstone-Learmonth writes that his “aim is to make a wine that is as tight-knit as possible, one of full integration of both elements and flavor.” At 16 years of age, this old-school bottle of wine was accessible in that it was balanced but there was no doubt in the room that it will take long to develop. I would love to taste a mature vintage while waiting for this vintage to blossom. Imported by World Shippers & Importers. This wine is 100% Syrah the majority sourced from Le Meal with the rest from Greffieux that was aged for 18-22 months in used oak. Alcohol 12% to 14%. There was a great, complex nose with mature aromas with hints of green. In the mouth were light, mature, and ethereal flavors that made way to a mineral finish. The hints of tea and greenhouse flavors were kept alive by watering acidity. This bottle was in great condition, while the wine could have used more concentration, it was a lovely experience. *** Now. Imported by Classic Wine Imports. Alcohol 13%. In the mouth were greenhouse flavors that eventually developed into a sweet floral profile. The wine showed young in the mouth with the fruit more ethereal than weighty. The acidity was present on the tongue with the structure coating the gums. With air this firm and dry wine took on some old wood notes, a lipsticky note, and finish with some sap. There was a fair amount of presence. There is plenty of life ahead but I wonder if the fruit will develop rather than the structure just persist. *** Now-2020+. Imported by Paterno Imports. 12.8%. There were firm, violet-like aromas on the nose. In the mouth this wine was still infantile with dry, floral dark fruit, and a very fine-grained, powerful structure. I wonder if the fruit will survive for the tannins to resolve. **(*) 2020-2030. Imported by Connoisseur Wines. This wine was aged for 15 months in oak barrels. Alcohol 12.5%. Still a very dark color the nose was tent with both tart aromas and old wood. In the mouth this wine had an old-school nature. There was plenty of fruit, textured and ripe vintage wood, and ultimately a sense of firmness. With air there is more structure evident and clearly the need for further cellaring. ***(*) 2020-2030. Imported Langdon Shiverick. Alcohol 12.5%. The seductive nose blended smoke and fruit as if from young vines. In the mouth was a young start with the structure evident and a tart grip. The wine had wood nose, some salty, good grip, and the right amount of smoke. It showed less weight in the finish. ***(*) Now-2020+. Both Chateau Les Ormes de Pez and Chateau Lynch-Bages were acquired by the Cazes family in the 1930s. 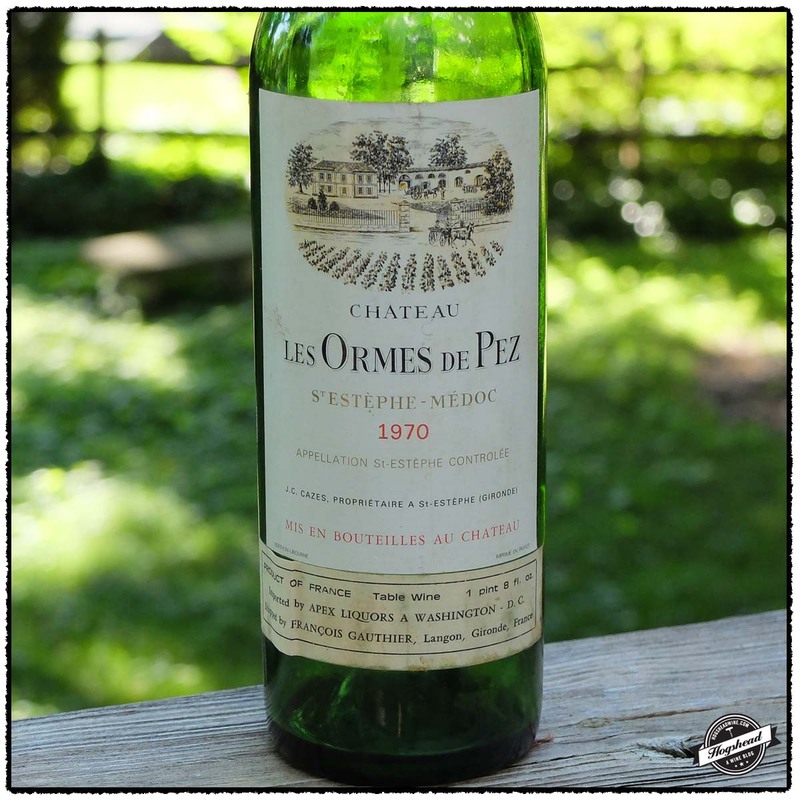 Though Chateau Les Ormes de Pez is only a bourgeois estate, it received careful attention for decades such that David Peppercorn comments that it “is one of the most consistent and enjoyable cru bourgeois of St Estephe”. 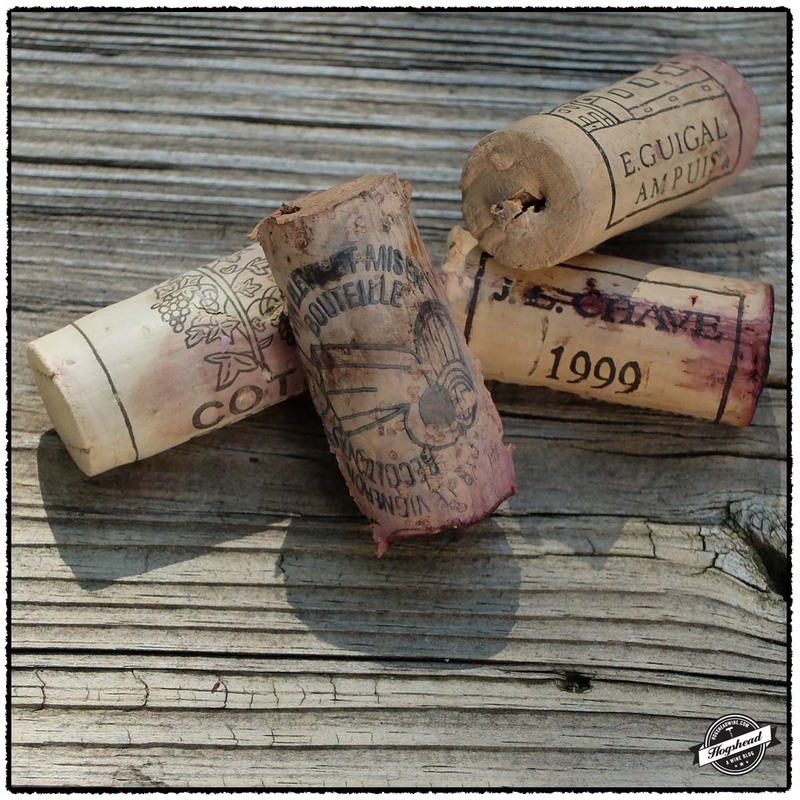 This consistency was no doubt helped by the wine being vinified and stored at Chateau Lynch-Bages until the 1981 vintage. Andre Cazes took over the estate in 1966 and persuaded his son Jean-Michel to join in 1972. There was, apparently, a rocky period then in the 1960s and 1970s. This was due to a combination of other business interests, lack of experience, and lack of any significant investment in either property since they were originally reconditioned. David Peppercorn found that the 1970 Chateau Lynch-Bages “truly measured up to what one had come to expect”. 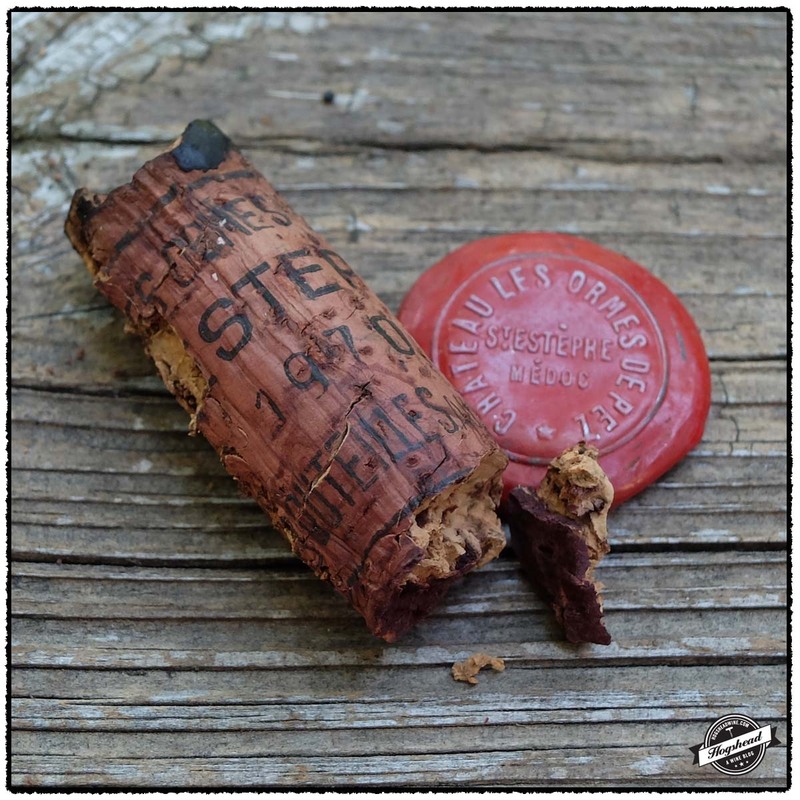 This quality apparently extended to Chateau Les Ormes de Pez for Stephen Brook found the 1970 “had a sweet blackcurranty nose and masses of flavour in the 1980s”. This particular bottle, with its mid-shoulder fill, was actually quite enjoyable. It still had a good nose and defined flavors of strawberry fruit with some attractive cedar notes. Were there just a touch more vigor and longer finish it would easily rate higher. I would not hesitate to buy a well-stored, high-fill bottle at the right price. This wine was purchased at MacArthur Beverages. Shipped by Francois Gauthier. This wine is a blend of 55% Cabernet Sauvignon, 35% Merlot, and 10% Cabernet Franc. Imported by Apex Liquors. Mid-shoulder fill. The nose bore both fruit and minerals. In the mouth were softer, strawberry flavors, a soft middle then a drying finish. With air the fruit took on weight, showing some tartness too before the hints of cedar in the finish. While the finish was a touch short this was a nice, flavorful wine. ** Now.